There are nearly 20,000 car accidents in Hillsborough County Florida every year making Tampa one of the most dangerous cities in which to operate a vehicle. In most cases our clients were not the party at fault. Tampa Auto Injury Chiropractor Fredrick Williams treats patients every day for auto related injuries, providing some of the best Chiropractic care in all of Tampa Bay. His knowledgeable staff is fully qualified and trained to facilitate accurate insurance billing on your behalf. 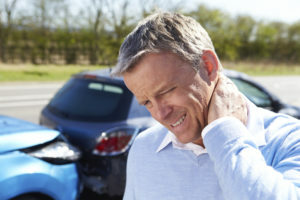 An Auto Injury Chiropractor specializes in soft and hard tissue problems including the results that could come from the trauma from a car accident. Auto accidents can turn your life upside down. Our staff is friendly and accommodating during these difficult time. We offer complimentary transportation to the office. Often times the vehicle gets totaled, and rental care process can take time take effect. We offer early hours and late hours to accommodate most schedules. Staff are bilingual. Locations throughout the bay area. For more information on the chiropractic services we offer please contact us.